August has felt pretty mild this year, and almost fall-ish at times. There have been several times over the last month where we were sitting on our patio and I had to go get a jacket because I was cold! With this fall-ish weather and school almost ready to begin, I get the hankering for a more organized schedule and home. I want school cabinets clean and tidy, I want junk taken to my local charity thrift shop, and I begin to crave some sort of “routine”. Summer is great because we shrug off routine, we stop school, and we just go where the wind takes us each day. It’s refreshing, until it’s not. I am not the most organized person. I sort of like to fly by the seat of my pants. One hallmark area of this is in meal planning. My natural instinct is to figure out what we are having for dinner at 5pm. Does not exactly work out for the best (and timely) meals for my family. Our boys have incredible appetites. They are always hungry, and always are asking what’s for dinner. If I don’t plan ahead, we end up eating unhealthy, last minute meals, that don’t really sustain the boy’s hunger, and are put together in a hurried fashion. I feel stressed out, and they are cranky with me because they are hungry. Made whole wheat bread today… For the first time in a long time. Got distracted and it over-proofed. But these boys still approved. Sent a photo to the Baker-husband. His response: "well at least you tried!" *We eat on time (well, not always “on time”, but at a reasonable hour). *I don’t have to figure out last minute what we are having for dinner. *If we are having a busy day I can plan that in my schedule and work ahead. *It saves me money: no last-minute food buying and I can plan my meals around what’s in-season and/or on sale. I went online looking for a meal planner that would work for my family, and I couldn’t find what I was looking for. I checked Etsy, I googled, I tried my favorite bloggers….nothing that worked for for my taste and meal plan. I AM NOT a graphic designer, and have little to no ability in that area, but since I couldn’t find what I needed that worked for us, I made my own. It’s simple, it’s easy and it works for us. To make your own, send this PDF to your local print shop and have it color-printed and laminated. Add some magnets (available at any craft store) to the back, stick on your fridge, and you are done! Use a dry-erase marker to write. Easy peasy. 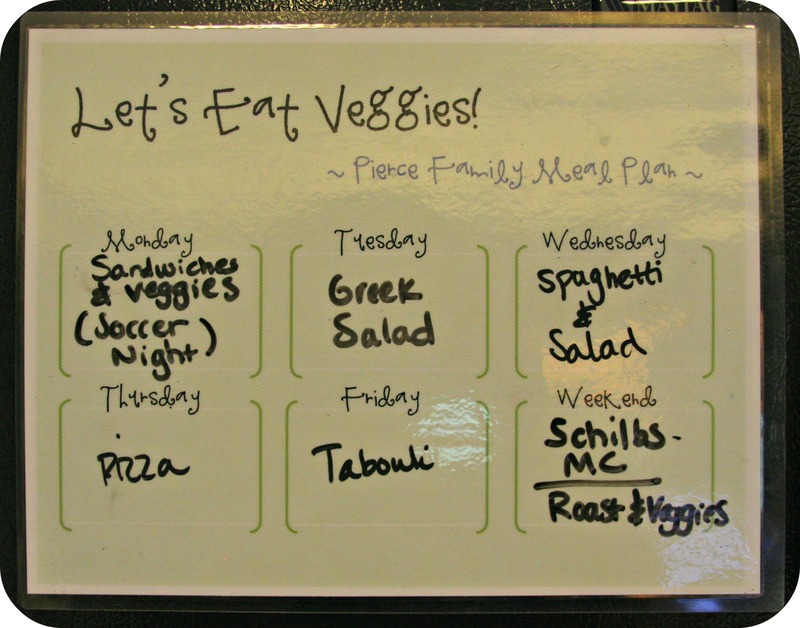 Maybe this will be helpful for you and will motivate you to be more organized with your meals. 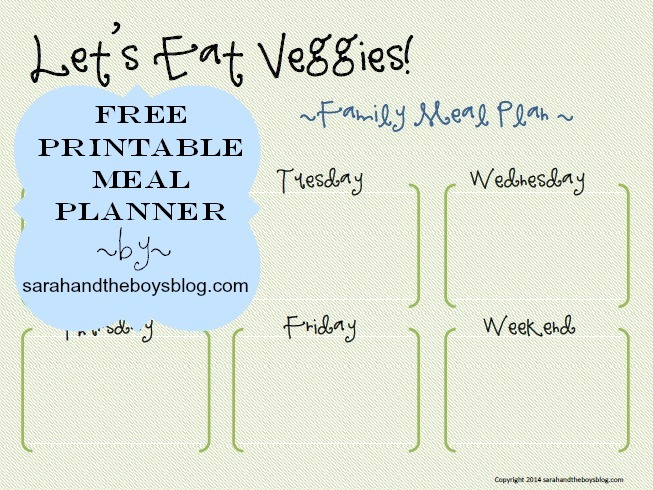 Do you have a meal planning system you love? PS follow me on facebook (click here), instagram (click here), or sign up for emails (on sidebar) to keep connected! PSS Stop by tomorrow for our first ever giveaway!!! hint…it will include something from this post, plus more!! !